I would love it if i could give permissions to different ranks to receive different events. E.g. - everyone gets 100 coins for every hour of playtime. But those who already have over 40 h of playtime will recieve 250 coins for every additional hour. How you could implement this is add custom permissions, like playtime.event.perHour and the group/player with that permission will receive rewards from the event called "perHour". - playtime.event.perHour2 (to receive another amount per hour). I suppose some people are curious about what happened to this project, I just wanted to post now that I'm going to do a 2.0.0 release soon (I am transferring servers of work, I'll be working at Hypixel come April). This new version will be using CodelanxLib so it won't take long to push out. I'd love a copy of the report! This plugin caused my server's Java instance to crash. No, it didn't crash the server, it crashed Java. UUID support is a must. Is this going to be updated for UUIDs? Also can anyone provide me with a Web UI? Is there a way to edit a player's time? I installed this plugin and everything works fine, however it obviously has only been tracking player times since it was installed. If possible I would like to be able to edit the playtime of the players on my server since some of them have played over 500 hours before this plugin was installed. Is there still support for this plugin? I would still like to know how to stop it from freezing. My server restarts twice a day and yet it always freezes around 11 hours of running. How to make that stats will be continuing after server restart ? I would like to control other Moderators how much time they spend on server. For example: i do /playtime NoHoPeLess >> 1 hour after 10-15 Minutes i do : /playtime NoHoPeLess result in: 1 hour ...? Hey there :P Possible Feature? Do you think it will be possible to add a feature or a file where you can view a list or the whole database at once of a certain group of players like e.g. Mods, and the data associated with it? This would help a lot to manage one's staff on a server. Feature request for a future update. Could you add an option to NOT use the scoreboard for displaying information? Partly because I have a lot of minigames that use the scoreboard, but also because the scoreboard itself is buggy with spigot and sometimes doesn't work. Whispers, in-game screen display or console display would be fine, but an option for a text file output to the plugin directory would be ideal. Also, I would prefer to keep the totals private since I really don't want people to get competitive about who spends the most time on the server. I don't want a server full of afkers just trying to get the most time in. Keep up the good work, thanks for the consideration and good luck with the next build. For 2.0.0 I plan to implement a library I've been developing for a while now (Shaded, so it won't be required for a server). With the lang system there, I will no longer be maintaining multiple languages, but users will be able to change every aspect of the plugin's output to players. When you see the "[Playtime] null", it sounds like Playtime is suppressing a non-specified error (which debug level 3 would show the full output of). Events are completely broken, and are disabled as of Playtime 1.5.0. You can expect them to make a better return in 2.0.0 which should help with fixing all of the bugs currently withstanding. 1.5.0 is almost finished, but will require a bit of time to update the database (since it has to fetch all the UUIDs from mojang that it can't find locally). 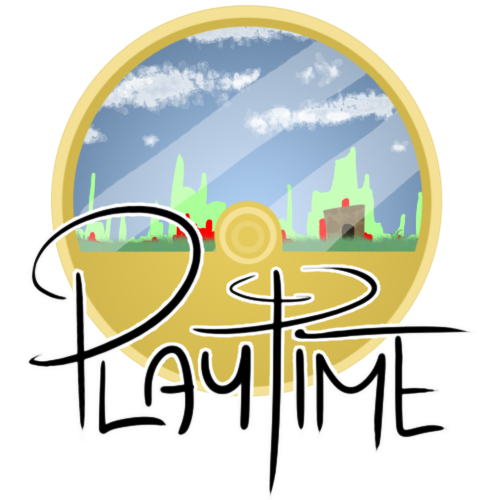 Expect Playtime release 1.5.0 sometime this week with UUID support, and soon after 2.0.0 should be following up with events (and a lot of other stuff) fixed! I believe that is already integrated through playtime "events". So thats it, i'm using on 1.7.2. Thanks for the info.